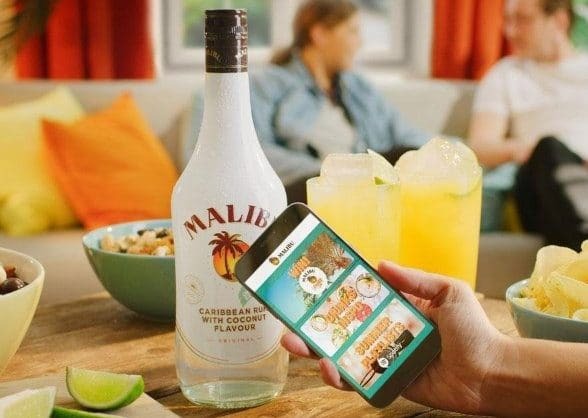 Coconut rum drinks brand Malibu is building on the lessons learned from a 2016 NFC pilot to let customers in the UK and Germany use NFC tags attached to 300,000 bottles to take part in a Malibu Games ‘Because Summer’ experience that lets them win prizes and share ‘summer moments’. 200,000 of the ‘connected bottles’ are being made available in the UK and a further 100,000 in Germany. In the 2016 pilot, which was the largest deployment of its type at the time, 40,000 bottles were made available at 1,600 Tesco stores in the UK. This year, the bottles distributed in the UK “will also feature drinks recipes and rotating seasonal content, testing an ‘always on’ content approach that extends beyond summer,” Malibu says. “We have used key learnings and insights from our previous trials to both shape a content experience that connects with our consumers and their digital behaviour, and to allow us to scale up production on an operations level,” Caitriona Murphy, the global brand manager who is leading the connected bottles project, explains. “This technology brings us closer to our consumers through our products and allows us to on-board more markets as we deploy these connected bottles globally,” adds Colin Kavanagh, Malibu’s VP of global marketing.